In line with the recent wellness craze and the ever-increasing concern about appearance thanks to social media, more people are becoming interested in living a healthy lifestyle—and looking good in the process. Fat burners are among the most popular supplements out there, promising to help with weight loss. Depending on the ingredients, they can approach this in multiple ways: by convincing your body to burn fat into fuel, by boosting your energy, or by suppressing your appetite. They sound like magic pills, but in reality, you can’t lose weight by relying on fat burners alone. Popping a pill or two daily without doing anything else will barely give you any results. Fat burners are more like add-ons rather than the foundation of a weight loss regimen, and you can count on them for getting you 10% of the way there—but only after you’ve done the work of exercising and eating properly. Another caveat, as with any saturated market, is that not all supplements live up to their claims. Manufacturers can release them without having to get approval from the Food and Drug Administration, so it’s up to consumers to do the research and be discriminating. Commonly found in coffee and tea, caffeine does more than keep us awake. It’s actually a stimulant that’s present in most fat burners, and studies consistently report that it increases caloric burn, boosts metabolism by as much as 16%, and gives more energy for working out. In particular, caffeine accelerates the breakdown of fat, which then becomes available in the bloodstream to be converted into fuel. Another benefit is that it reduces cravings and naturally makes people want to eat less. L-carnitine is often called an amino acid, but it functions like a vitamin. Among its many roles in the body is fat metabolism or using fat as fuel. The more L-carnitine you take in, the more your body becomes capable of burning fat , and that leads to increased energy. This process also chips away at visceral belly fat, which wraps around your organs and which can be fatal if allowed to accumulate over time. Here’s something neat: L-carnitine prevents lactic acid from building up as much in your muscles, so post-workout soreness won’t be as bad. Green tea extract comes from green tea, which has been touted for its health benefits. Its main fat-burning components are caffeine and epigallocatechin gallate (EGCG), an antioxidant that boosts metabolism and reduces belly fat. Its mechanism involves inhibiting a certain enzyme so that fat-burning chemicals remain active for longer. Because caffeine and ECGC complement each other, green tea extract as a whole, increase the breakdown of fat and prevents it from forming. In an analysis of six studies, people who took both green tea extract and caffeine burned 16% more than normal. Capsaicin is the active compound and source of spiciness in chili peppers. Aside from helping make your food more flavorful, it’s also helpful with weight loss. Scientists are still trying to understand how exactly this works, but a study observed that people who had red pepper for each meal felt more satiated, with fewer cravings. Because of its fat-burning properties, capsaicin has been labeled as a thermogenic chemical that suppresses appetite. The spiciness helps—because of the rise in body temperature, your body ends up burning more calories. Other studies have shown that it makes fat breakdown and metabolism more efficient and reduces the waist-to-hip measurement ratio. This was originally only meant for MMA fighters and boxers who had to reach their required weight for a competition deadline, but it became so popular that the general public started using it. 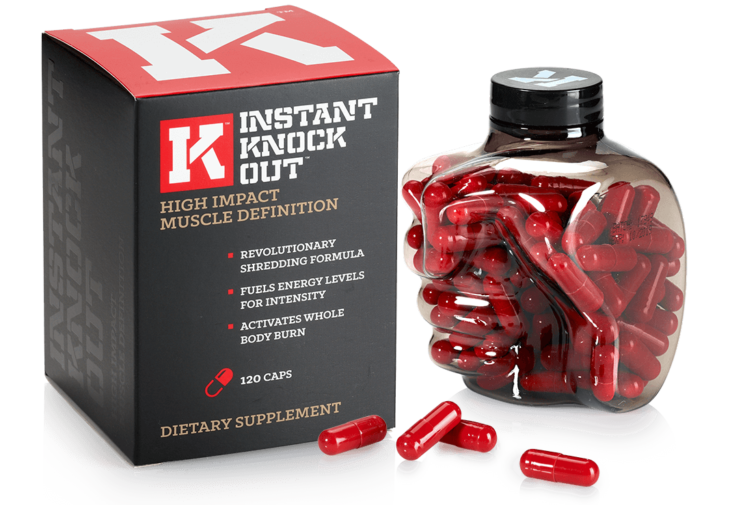 It’s excellent for muscle definition, as sworn to by many pro-MMA fighters, and its combination of fat-burning ingredients earns an A+: green tea extract, caffeine, capsaicin, green coffee extract, and glucomannan, all at effective dosages, as well as Vit B6 and B12 for that energy booster. Alpha Lean-7 is a multi-tasking weight loss product that aims high, conditioning your body and aggressively burning off body fat. One standout is that it’s free from DMAA (1, 3 Dimethylamylamine), which is found in many supplements and which may cause side effects. So-called advanced users or those who are already fit will benefit the most from this. At the top of the ingredient list are eria jarensis extract, caffeine, dandelion powder, betaine, green tea, and L-carnitine. LeanMode is a sought after fat-burning supplement for those who want to do without caffeine or stimulants in general. It’s a product of Evolution Nutrition, a sports supplement company, and impressively, it’s the top fat burner on Bodybuilding.com for 2018. Aside from fast-tracking the body’s fat-burning mechanism, it cleanses and energizes cells with antioxidants. Its ingredients include conjugated linoleic acid (CLA), garcinia cambogia, green tea extract, green coffee bean extract, and L-carnitine. While there is a vast difference in quality among fat-burning supplements, each person’s body is different, so a supplement that works for one may have zero effects for another. It may take a bit of experimentation before you figure out which supplement to take. Moreover, this isn’t an instant solution, so leave at least two weeks to check for results.